Where Are Films, Society, Going? I write this blog not as a film critic, nor as a religious authority, but as a spiritually-minded individual who likes watching movies. I am troubled by two of the highly-acclaimed Academy Award winners, “Moonlight,” and “Manchester by the Sea.” What I find troubling is how grim these two films both are, and the vision of life that they present. Tragedy is a well-established theatrical genre. But these films did not seem tragic to me as much as miserable. Tragedy is propelled by a strong plot to a tragic denouement. To me, these films were a succession of miserable scenes with no denouement, no conclusion, no climax—they just ended. I sought something redemptive, something positive in them, but failed. What bothered me, in other words, was the utter lack of imago dei—there was no presence of God, of the good, that I could discern. And that’s what troubles me. It is true that the Bible contains horrific episodes. Indeed, horrific images of God. But it also contains episodes of redemption and the transcendence of horror, even in horror. The Christian story is essentially tragic, but for the transcendental messages of Jesus, forgiveness, and resurrection from death. I was unable to find any of these in the films in question. I am troubled by suggestions about the nature of society that these films raise. 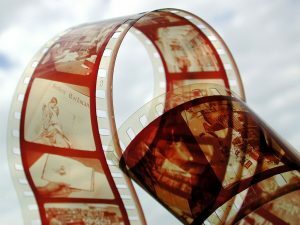 What does an individual seek in films like these? What makes these films great? What view of reality do they portray? What do they give the viewer? I will not venture to stab at answers to these questions. I don’t know the answers, which is why I raise these questions. I do not condemn these films. I simply find them and the world-view they offer objectionable. It does not meet with the world-view and reality I know. Certainly, there are single-parent families with substance issues. There is bullying. It is true that victims become the very image of their persecutors. Merely depicting these risks cliché. I didn’t find the cry for personal or social action that would have brought some kind of redemption. There was only portrayal of misery and then the film ended. 50 years ago, “The Sound of Music” was released and received five Academy Awards. That film was uplifting, happy, and showed positive character development. Since The Sound of Music, we went through the tumultuous ‘60’s, social challenges to authority– including religious authority, rise in drug use and the creation of horrible drugs, the ascendency of psychology as the legislator of ethics, unbridled greed in the ‘80’s, the fall of the Iron Curtain and the rise of terrorism,– and the death of God as a social belief, perhaps. Are these some of the forces that have moved Hollywood from The Sound of Music to Manchester by the Sea and Moonlight? I am not making assertions as much as expressing bewilderment. If anyone reading this has some reflections, I sincerely invite replies. Very interesting and thought-provoking take on these movies. One thing that comes to mind for me is the question of what makes films “good”. Is it that they give moral or ethical guidance? For some, this may be the case, but as with any other art form, sometimes the mere depiction of states, including terrible ones, without a moralizing aspect, can be incredibly valuable. One could also argue that we’ve moved away from the black-and-white (no pun intended) concepts of reality and society depicted in “The Sound of Music”, toward a more nuanced place, where we can depict the reality of suffering, including the reality of suffering that goes un-cured, without the need to rectify this. To sit with an upsetting image, as we would with a good art piece. I for one appreciate the recent emergence out of a good-and-bad, happy-ending-based film. Again, I think it all depends on what we are looking to get out of a film: Do we want to be inspired? Do we want to be uplifted? Do we want a peak into human reality or human fantasy? Are we looking for social commentary? Should they idealize human life, or point to its flaws?